Jumanji: Welcome to the Jungle was an unexpected hit, earning more than $900M worldwide. It didn't take long for a sequel, technically the third film in the franchise, to move ahead with returning stars Dwayne Johnson, Kevin Hart, Karen Gillan, and Jack Black. But other stars who helped make that film a success are coming back, even if it may only be for a brief spell. 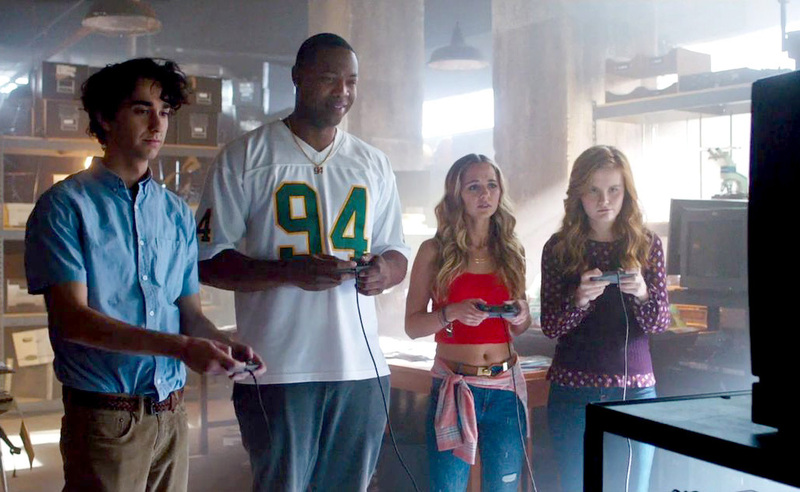 THR reports that Alex Wolff, Madison Iseman, Ser’Darius Blain, and Morgan Turner are all reprising their roles as the high schoolers who are transported into the Jumanji video game. Their personalities are what inspire the avatars played by the movie's biggest stars. Chances are they won't have too big of a role which explains why they are signing on so late. Story details are still under wraps, like what form the game will take this time, but we do know there will be new additions to the cast. Awkwafina, Danny Glover, and Danny DeVito are all onboard even though we know nothing about their characters. Once again directed by Jake Kasdan, Jumanji 3 opens December 13th.